If you haven’t had a look at the standing recently, please do. Going into tonight’s game, the Mets are 7-1. They just swept the heavily favored Nats in Washington and have won all five games against division rivals. With Thor and deGrom going to the mound in the next two games, there is a lot of confidence around this team. This is not the first time the Mets have gotten off to a great start. Before we look back at the best starts in franchise history, let’s setup some ground rules. Winning on opening day is not a necessity. Having a good winning streak is not enough. The 1973 and 2012 teams each had 4-0 starts but fizzled after that. Being in first place is not a necessity. We are simply looking at the records. How it started: Seaver shutout Doc Ellis and the Pirates in the opener. After losing the next two, the Mets went on a tear. They won the next seven including a great comeback in a double-header sweep of the Cubs. The offense was clicking and Matlack was on his way to winning rookie of the year. Rusty Staub had a great start to 1972 before getting injured. How it ended: Despite a 25-7 start, the injury bug hit the club in June. Staub, Buddy, Grote, and Cleon all missed significant time. Fregosi couldn’t overcome a broken thumb and the Mets stumbled to the finish line. The team ended up with just 83-73, while the Pirates ran away with the division. Mets fans learned that no early lead is ever safe. How it started: After losing on opening day, the Mets won six straight. The Cubs took the next two but the Mets got back on track. By early May, the Mets found themselves 15-8 and in first. How it ended: Throughout the summer, the Mets were dueling with Chicago. In late July, the Mets hosted the Cubs in a pivotal series. With a 3.5 game, lead the Mets wanted to bury them. Gooden won the first game but sadly, the Cubs took the next three. The Mets played below .500 the rest of the way and missed the postseason. The great start put them in the race but it wasn’t enough to win the division. How it started: To date this has been the best Mets start ever. This is the only season the Mets began 5-0. Carter hit an opening day game winning blast to begin his Mets career and the team was red hot after that. With their new catcher, the 85 Mets got off to a fantastic start. How it ended: Despite the early winning, the Mets couldn’t get a big lead. Early on, the Cubs gave them a run for their money, but by June Chicago was tanking. At the same time, the Cardinals took off. After a 24-23 start, the Red Birds played .670 the rest of the way to end up with 101 wins. 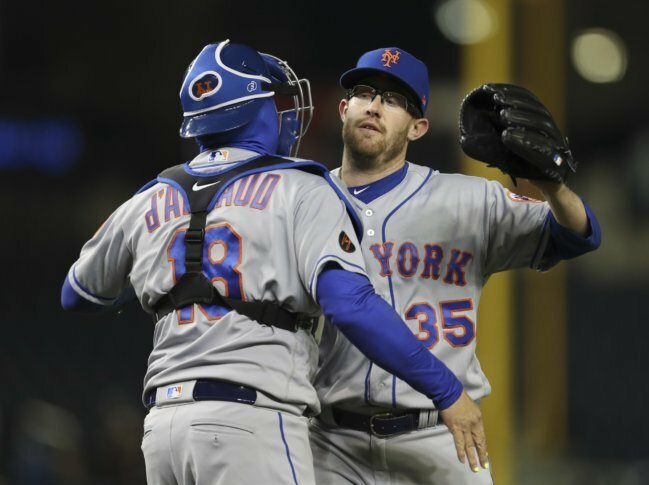 The great start was needed to keep the Mets playoff hopes alive in late September. How it started: This was the most memorable Mets season ever. Many fans remember it by heart… especially those who weren’t born. After winning the first two, the Mets dropped the next three. Before panic could take hold of the team, the Mets went on an eleven game winning streak. After one loss, they won another seven to take hold of the division. With four great starters, the 1986 dominated the league. How it ended: In early June, the Mets took a 7.5 game lead and just cruised. After a win to open July, the lead never got below 10. While the Mets probably would have won the division without the great start, it helped put the race to bed before other teams could wake up. How it started: Most people forget about this one. Maybe it has to do with the fact that they lost opening day. Perhaps it is because the Braves were clearly going to win the division all season long. However, the Mets took advantage of a weak early schedule and beat up on Montreal and Florida. Al Leiter celebrating a victory in game 163. How it ended: After the good start, the Mets struggled. By June, the team was below .500 and half the coaching staff got sacked. On June 6, the Mets crushed Clemens and began a run for the ages. They went 65-30 and the playoffs were in sight. Disaster almost struck as the Braves nearly eliminated the Mets from the playoffs. Thanks to a miraculous last series, the Mets ended an eleven year October drought. Every win mattered by game 163, so the fast start was crucial. How it started: The 2006 Mets were stacked. With the Carlos’s, Pedro, Wagner, Reyes and Wright, it was time to knock Atlanta off their high horse. Two weeks in, the division race was over. The Mets started the season 8-1. A few games later, the beat the Braves and opened a five game lead after only twelve games. By the end of April, the lead increased to six. Carlos Beltran hitting a game winning homer against Philly. How it ended: Despite an Philly run in early May, the Mets stayed on top. Beltran hit game winning blast in the sixteenth inning in late May to knock the Phillies down. The Mets went on an eight game winning streak in June to open up a 9.5 game lead. They never looked back and danced to a division title. Thanks to the fast start, the Mets just rolled over the NL that year. How it started: This year was startlingly similar to 1986. The Mets started 2-3 and then won eleven in a row to take a 4.5 game lead. That lead held until May when the Nationals overtook the Mets. By mid-July, Washington had a comfortable lead and it looked like another lost season. However, something strange happened. Familia with an early season save in Atlanta. How it ended: By late July, Washington’s lead was small. The Mets had great pitching but no offense. They needed to make some moves. After picking up Cespedes, Uribe, Johnson Clippard and Reed, the team was ready to rock. In early August, the Mets swept the Nationals and the tables turned. They began to dominate and Washington went into free fall. After sweeping the Nats in early September in a dramatic series, the race was over. Had they not had the great start, they likely would have never made those big midseason acquisitions and Washington would have won again. What do we make of this? The answer is that it is too early to tell. A good start is clearly important. It is important to start strong and establishing yourself as a tough team. In 1986 and 2006, the Mets took off and never looked back. Other years like in 1999 and 2015, the Mets needed those wins or they would not have made the postseason. However, a great start is not always enough and was the case in 1972. We should all be thrilled with the great first two weeks but the baseball season is long. There are over 150 games left and a lot can happen.